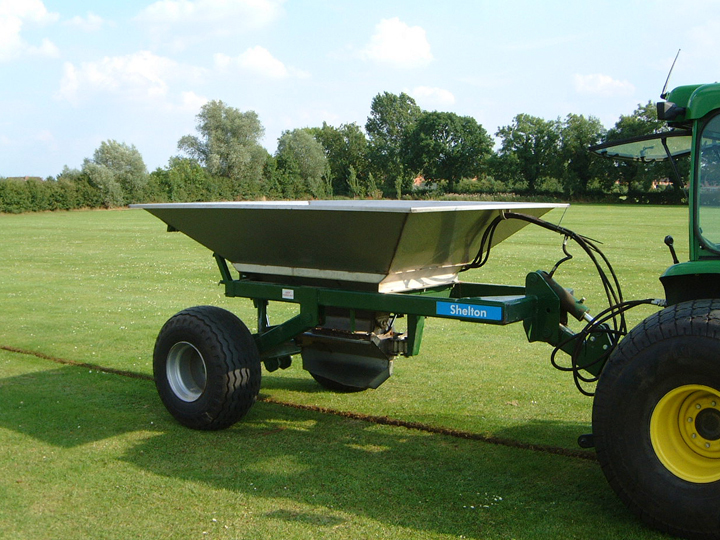 The Sand Placement Hopper is ideal for placing free draining sands over piped drain runs and narrow drainage channels. 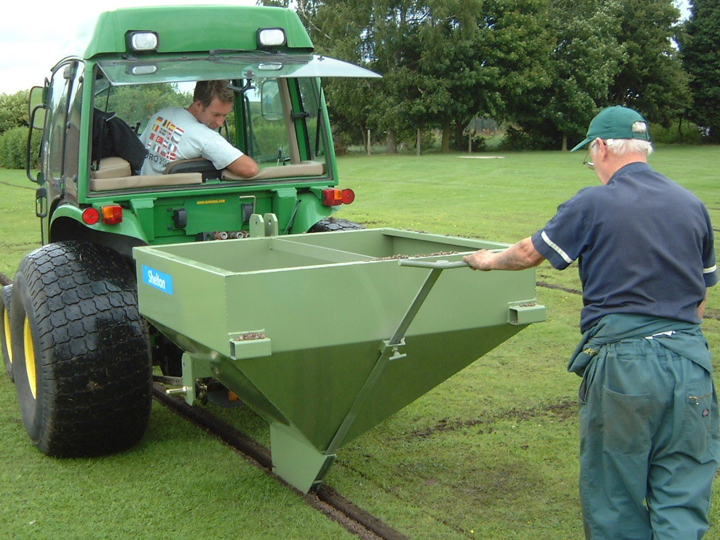 The hopper may also be used for topping-up drainage trenches that have settled. The Sand Placement Hopper has a hydraulically operated internal agitator, which ensures a consistent flow of materials. 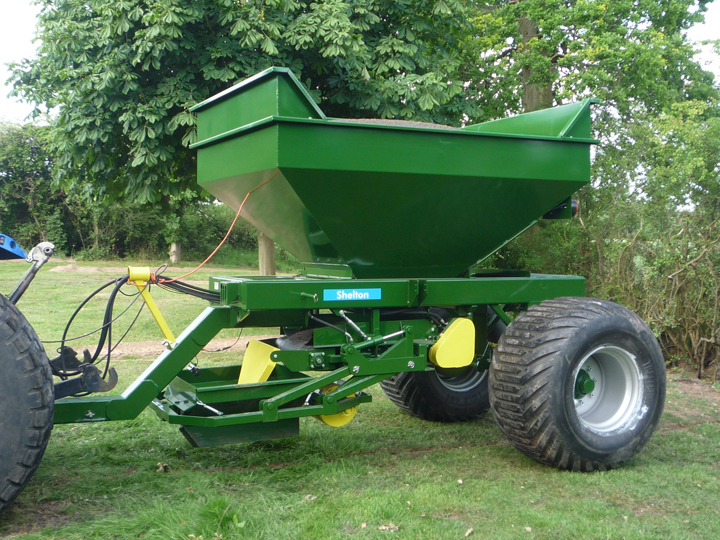 The hopper is fitted with twin rakers and two consolidating wheels ensuring the sand is firm and level. The weight of the Sand Placement Hopper is carried by the tractor and rear roller. 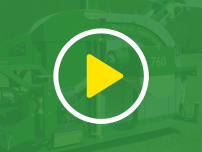 The spring loaded skirt maintains the correct operating pressure to minimise turf damage. The depth of sand is adjustable to suit different specifications. Hydraulic Serv. : Shut-off door and agitator controlled by two double acting spool valves.